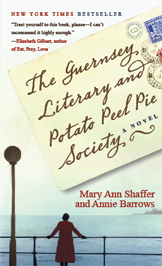 The Guernsey Literary and Potato Peel Pie Society is full of quotes about books and reading. What are your favorites? Let us know by posting a comment below!